WeatheRate, an independent research company, names the Pinpoint Weather Team "Most Accurate"
TODAY: Another nice day. Mostly sunny, dry and seasonable with highs in the low to mid 60s. A bit cooler (near 60) at the coast due to a sea breeze developing. Light northwest winds this morning turning south 5-12mph. 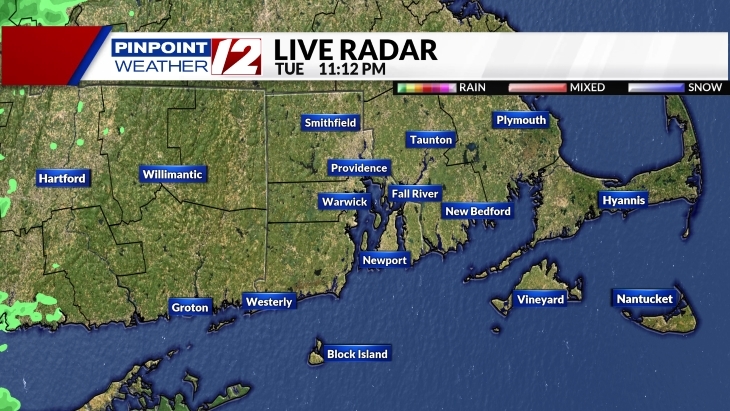 TONIGHT: Increasing clouds, a chance of a few light showers/drizzle by dawn. Lows 45-50. FRIDAY NIGHT: Widespread rain, heavy at times with isolated thunderstorms... lows near 50. Southeast winds 10-20mph with gusts 25-30mph. SATURDAY: Very windy with mostly cloudy skies. A brief light shower or sprinkle is possible, but most of the day looks dry. Highs 55-60. Northwest winds 15-25 with gusts of 30-35mph. SUNDAY: Partly sunny early with increasing clouds. Scattered showers are likely by mid/late afternoon and evening. Highs near 60. WEDNESDAY: Mostly cloudy... low 60s. See weather, snap it and ReportIt! Please include your location, name, time & date.